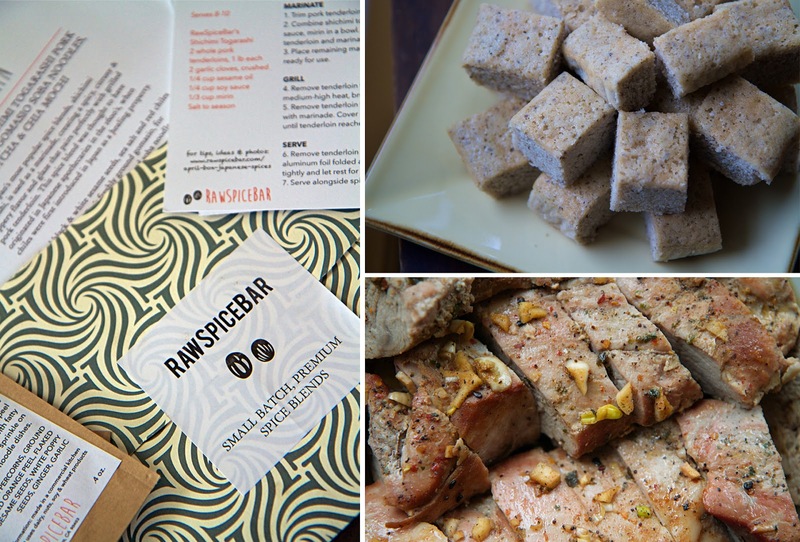 Yesterday I gave you the low-down on a fun and spicy subscription service called RawSpiceBar. Well, today is your chance to enter to win a free 3-month subscription. That's right, RawSpiceBar has generously offered to give one lucky LocalFoodRocks reader win a free 3-month subscription. So, what are you waiting for? Just use the Rafflecopter widget below to enter and share your favorite spice combinations. The giveaway starts today and ends June 18th at 12 midnight EST. Winners will be selected randomly via Rafflecopter and be notified by email. The winner will have 48 hours to respond and provide a physical address to which the prize will be mailed before a new winner is selected. If this information is not received, an alternate winner will be chosen by random drawing. Here's all the fine print: Giveaway ends June 18, 2015, at 12:00 AM EST. Open to US residents only. Void where prohibited. Winners will be selected randomly via Rafflecopter.com and be notified by email. Each winner will have 48 hours to respond and provide a physical address to which the prize will be mailed before a new winner is selected. If this information is not received, an alternate winner will be chosen by random drawing. The product offered for the giveaway is free of charge, no purchase necessary. Facebook and Twitter are in no way associated with this giveaway. By providing your information in this form, you are providing your information to Local Food Rocks. Local Food Rocks will not sell information and will use any information only for the purpose of contacting the winner and will only share the winner's information with RawSpiceBar for the purposes of prize fulfillment. Local Food Rocks is not responsible for claims based on technical difficulties, participation in the giveaway and/or acceptance or use of any prize. By entering the giveaway, entrant waives any claims arising out of or related to the giveaway. Italian seasoning mix mixed with olive oil and balsamic vinegar is the bomb diggitty. Anything paired with balsamic vinegar gets a thumbs up. My favorite spice combination is cumin, cinnamon, brown sugar and garlic! It goes great on chicken and pork! Fantastic. I love mixing sweet and savory spice combinations like that. I absolutely love cardamom seeds, black peppercorns, cinnamon and nutmeg. I blend them and add them to my chicken! Yum! I started using more cardamom and love it. ancho chile, paprika, cumin, and oregano taste great on my mother's chicken! The Chai tea combo, or a cinnamon/chilli mix for sweet spice.